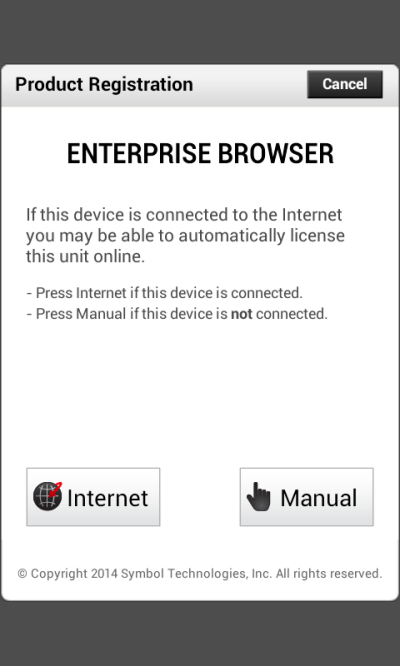 This tutorial covers the use of the Enterprise Browser Barcode API. Enterprise Browser includes an API for scanning barcodes. 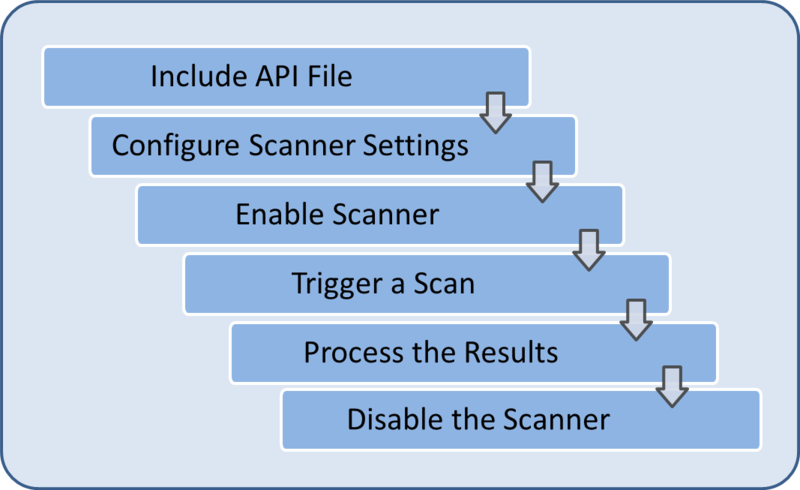 The steps shown below are typical for code that uses this API. The following tutorial will walk through creating a working barcode example application using these steps. 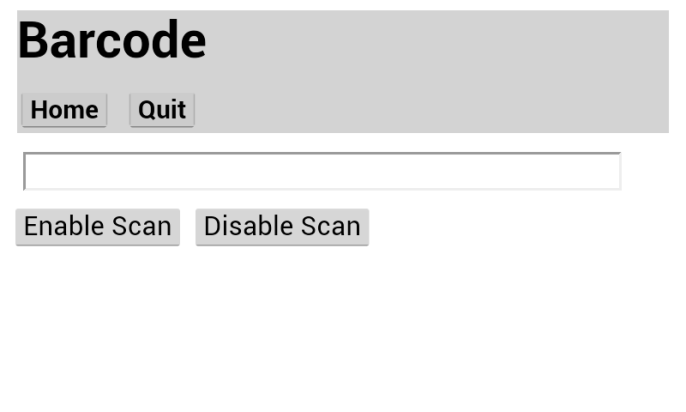 Create a file named barcode.html in your application directory and open it in a text editor. Make sure the app isn't adding an invisible '.txt' extension. STEP 2: Add input field and control buttons. In this method, two parameters are being passed to the enable() method. The first parameter is a hash including settings for the scanner. The second is a callback function that will be executed when data has been successfully captured. The second line of code displays a message notifying the user that the device is ready to scan. In the demo app, scans will be triggered by pressing the device's hardware trigger button. If desired, it's also possible to trigger scans from an on-screen button by setting up the button to call the EB.Barcode.start() method. For more information about using this method, please refer to the Enterprise Browser Barcode API documentation. fnBarcodeScanned() is a callback function we passed to enable()in the previous method. The JSON object passed to the function contains data captured during the scan. A console.log() statement is used to show the JSON object's contents for testing purposes. The last line takes the data attribute from the object and displays it in a text input field. 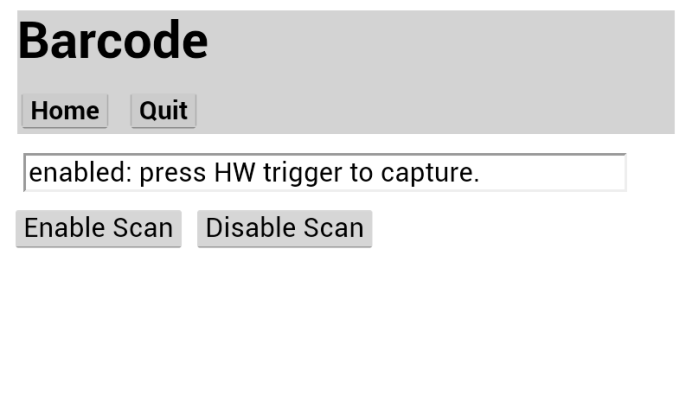 The EB.Barcode.disable() method on the first line shuts down the scanner and prevents additional data captures. The second line displays a message for the user. 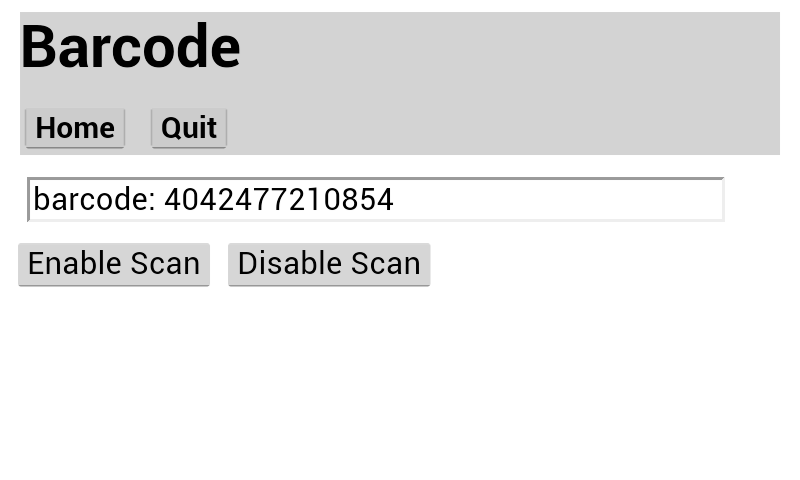 Create a directory on your device for the Barcode application. Make sure the directory is in an unrestricted location to avoid any permissions issues when Enterprise Browser tries to open the files. We'll place our sample app's files in the device's root directory and show you how to modify the config.xml file accordingly. Update the StartPage setting in config.xml to point to the location on the device where you placed barcode.html and save the changes. 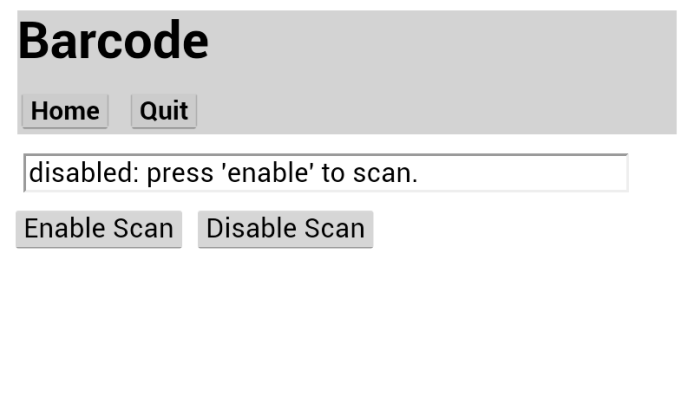 Click on the Enable Scan button. Press the device's hardware trigger button, point the device at a barcode and wait until you hear a beep signaling that the code has been captured. You should see the barcode number displayed in the input field. Click the Disable Scan button. Then try pressing the device's hardware trigger again. This time the device should not scan. This completes the Enterprise Browser Barcode API tutorial. For more information on the Barcode API, please refer to the Enterprise Browser Barcode API documentation.